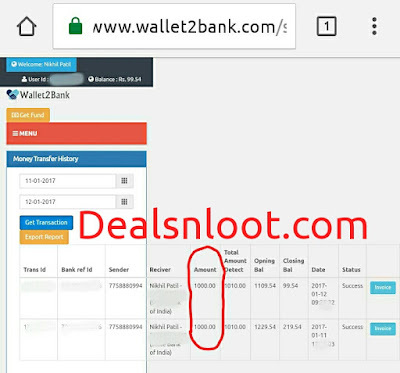 Hello Dealsnloot Readers,Wallet2bank Refer And Earn Loot: Wallet2bank website is offering Rs. 25 on Every New Signup And Rs.15 For Each new Referral . You just need to sign up using below link . No App Download is Required . You can Transfer Your Wallet Amount to Bank Account also or Recharge your Mobile . this is limited time offer and may expire any time so do hurry !! Wallet2Bank.com provide all types of services where you can recharge, make bill payments and money transfer also. So Loot This Earning Website. Update :- #Due to heavy load website not work properly so try again & again.OTP Receive Problem And Other Problem Fix. 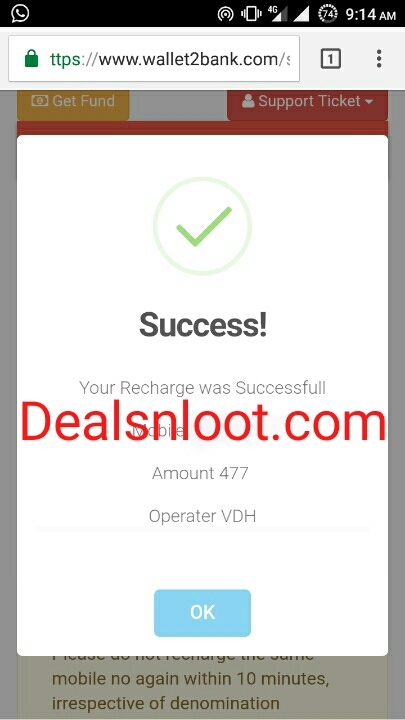 7) Fill Out Your Recharge Details And Your Recharge Will Be Successful Instantly..
8) Enjoy !! Free Recharge & Bank Transfer. Go to Your Wallet2bank Dashboard . Click on Reference Id . Copy Your Referral link from here and share with your friend. 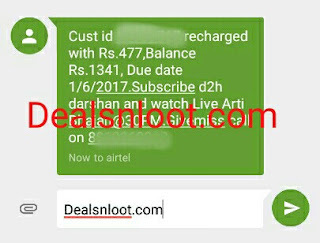 When Your Friend Register with your Link You will get Rs.15 And He Will get Rs.25 . You can earn more by invite more . 1. First Open Site In Laptop Or Computer Or Mobile. 2. Now Click On Transfer Money. 5. Now You Will Get Recipient Filled Tab. 6. Click On Add Recipient. 7. Now Provide Your Bank Details I.e Account Number , IFSC Code , Name & Number. 8. Now Select Your Bank & Enter Transaction Amount Along With Your Pin. 10. Done Your Money Transferred To Bank. 7) That’s it. You will get Rs 0 in your main account and Rs 5 in your newly created account.